At this time of year employment lawyers are often busy trying to cure legal hangovers and employment tribunals caused at the office Christmas party. Paul Whitfield looks at some of the common causes and cures. Without doubt this is the most common employment tribunals claim brought following office parties. The combination of alcohol and a more relaxed environment can lead to inappropriate comments and behaviour. Many sexual harassment employment tribunal claims are brought following office parties. We have also dealt with a claims arising out of inappropriate secret Santa gifts. 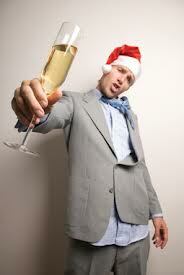 Employers will normally be liable for the conduct of its employees during an office party. This also applies to harassment on the grounds of age, religion, disability, race and sexual orientation. Prevention is better than cure, try and avoid the need for any employment tribunals. Without being a humbug it is worth reminding employees in advance of party what sort of conduct is acceptable. Many employers have a “Social Events Policy” setting out acceptable behaviour at events. The safest but also the most unrealistic policy would be to ban alcohol. Realistically, employers should be aware of the risks involved in providing alcohol to their employees and consider limiting the amount of free drinks. There have been cases in the past where an employer was found liable for facilitating the supply of alcohol to underage employees. Employment tribunals have also found employers partially to blame for the misconduct of their own employees when they have provided a free bar and encouraged excessive drinking. Good practice would be to always have non-alcoholic drinks available and to have at least one manager present at the party to ensure no one overindulges to excess. Employers should also consider providing transportation to and from the venue or at least provide taxi firm numbers to avoid the risk of any employees driving under the influence of alcohol. If the party is a midweek party then it would also be worthwhile reminding employees that they are required to work the following day unless booked as holiday. Everybody these days has a camera or a video camera on their mobile phone. Smartphones mean employees can take photographs or video footage at the party and have it uploaded to Facebook or YouTube within minutes. This combined with alcohol can be a dangerous cocktail. A number of employment tribunals have centred around unflattering pictures and videos and associated comments. We are aware of at least one case this Christmas where an employee’s tweets from the office party has led to their dismissal for gross misconduct. This is a very difficult area to police and again may be worth covering in either a social media or social events policy. The key, as with many things is to bear the risks in mind when planning the event and if necessary have a policy in place and remind the employees of that policy in advance. Fox Whitfield have considerable experience in dealing with these sorts of hangovers but can also help you plan and draft any necessary policies.